Got7 Nutrition’s High Protein Chips is one of, if not the best tasting protein packed, chip snack on the market. The product comes in a wide variety of flavors including Paprika, Greek Style, Hot Barbecue, and our favorite option, Sour Cream & Onion. 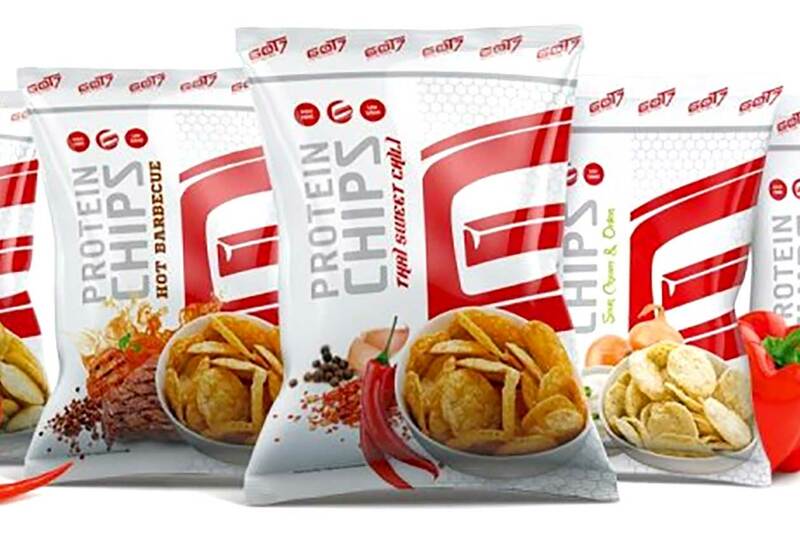 This month news has surfaced that Got7 Nutrition has actually put together another two flavors for its High Protein Chips. The catch with the new options is that you can’t purchase them in the usual options of individually with single bags or in bulk with boxes of 12 bags. Got7 Nutrition’s new protein chip creations are the limited edition recipes, Cheese & Onion, and Sweet & Salty. The only way to get your hands on either of those great sounding flavors is by purchasing the brand’s completely custom, four-foot tall Advent Calendar. The German-based company has hidden both its Cheese & Onion and Sweet & Salty High Protein Chips behind doors on its Christmas calendar. It is also worth mentioning that if fans do end up giving great feedback on them, Got7 Nutrition will make the flavors regular options early next year.